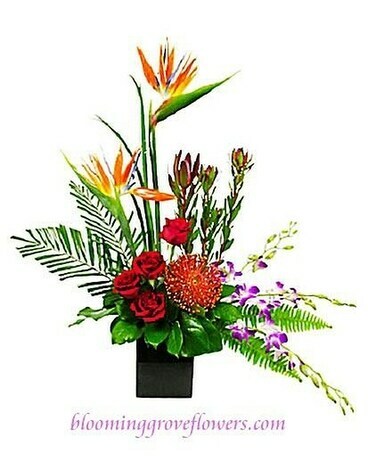 Birds of paradise, roses, leucadendron, protea, dendrobium orchids, premium greenery in a low dish. Flowers and containers subject to change based on season and availability. However we will create something similar. Please call to discuss.